River cruises have become a very popular way to spend your vacation time, and although you may think they are restrictive, you will be pleasantly surprised. There are many different cruise destinations to choose to suit every budget and taste. No matter what part of the world you want to see and experience, there will be river cruises for you to enjoy. Cruises are an excellent way for you to see the world at an affordable price. Whether you want to explore the idyllic charm of Europe, or the sophisticated waterways of China and the Far East there are several river cruises available. Many river cruises take place during the warm summer months allowing you the ideal climate to sit back on deck and enjoy your vacation. There is a huge array of choices and decisions to make when looking at the destinations. The style of ship, length of cruise, overall budget and the destination will all need to be considered. There are many great reasons why river cruises have become very popular in the last few years, with more people choosing this style of vacation than ever before. Having the opportunity to visit many different destinations in one vacation is ideal. You can wake up in a new and exciting destination, ready for the different sights that the day will bring. Although choosing the destination for your river cruise may be down to personal choice, there are some very common river cruises available. River cruises throughout Europe are incredibly popular, and there are several different destinations to choose. 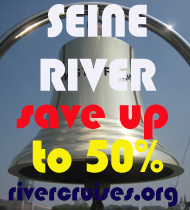 Whether you want to pass by the stunning Alps, through the beautiful scenery of the Normandy valleys or down the longest river highway's there are a number of different cruises. A river cruise through Europe would not be complete without experiencing the beautiful and romantic Rhine River cruise. You will be taken back in time as you gently sail down the Rhine River passing some of the oldest and most exquisite castles and ancient palaces in Europe. There are many places where the cruise will stop along the banks, allowing you the time to explore the magnificent scenery. Another incredible country to explore is Russia and taking river cruises allow you to see far more of this expansive country. You will closely follow the river from Moscow to St Petersburg discovering many of the incredible cities throughout Russia. Cruising down the Nile has always been a very popular way to experience Egypt and is one of the top routes that are chosen. The breath taking temples along the stretch of the river between Luxor and Aswan are one of the many amazing landmarks to experience. You will also be able to visit Tutankhamen's tomb and Nefertiti's tomb in the valley of the Queens. There is so much to see and do in Egypt, that many people combine their river cruises with a few nights in Cairo. China has become one of the top destinations for people from all over the world to visit, and river cruises in this incredible country are more popular than ever before. The Yangtze River is the most common route and offers some incredible sights along the way. The Three Gorges are one of the highlights of this cruise, stopping off at the magnificent Three Gorges Dam. You can choose short river cruises that allow you to fly for part of your journey, or longer more scenic cruises for people with more time. The longest river in the world is the Amazon in Brazil, and there is no better way to explore it rather than river cruises. Many of the cruises will begin in the picturesque city of Santarem, where the river begins its long journey. The Amazon is home to a huge, diverse Eco system, which is amazing to explore. You will be able to leave the comfort of the river boat, and take guided tours through areas of the rain forest. There are many Amazonians that live along the river banks who welcome tourists to join in with their daily routines. These river cruises are believed to one of the best that you could take. 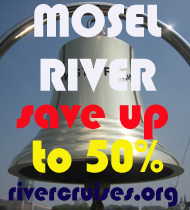 There are over 900 miles of cruising river available throughout Europe, and although you may not want to travel the whole distance, there are plenty of river cruises available. Travelling through Switzerland, Germany and France, you will be able to experience several different cultures in one vacation. You will experience different cuisines, cultures and traditions, as well as buildings, sights and climates. River cruises are the ideal way for you to see many different cities in a very short space of time. No matter where you decide to take your river cruises you will love the comfort and relaxing atmosphere that the boat provides. You only need to unpack once, and do not have to worry about long check in procedures. Once you are on board and settled in, you can sit back and enjoy the magnificent scenery. The confident and capable boat crew will be bale to advise you of the best places to explore, and what the climate will be where you are stopping. The boats used for river cruises will be smaller than cruise ships, making them far more intimate, which allow you to get to know the other people on board. You will be able to make friends as well as see some of the world's most incredible sights and landmarks. Experiencing river cruises will often change your opinion on the style of vacations which you prefer. Although you may have been a beach vacation person before, once you have experienced river cruises you will never look back. You will want to book different destinations for every vacation, allowing you to see more of the world comfortably and at a great price. Research is essential to determine the different river cruises which are available, and where they cruise to for the duration of the trip. With all of the information, you will be able to book the perfect vacation for you and your family. Discover the worldl by ship! More confortable than ever, more cheap than ever, more phantatastic than ever. 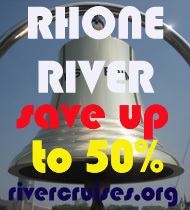 rivercruises.org offers you the most phamous river cruises all over the world. 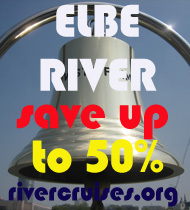 What ever river cruise you are looking for. Here you find everything cheaper and better!